Celebrity children love Luna leggings! 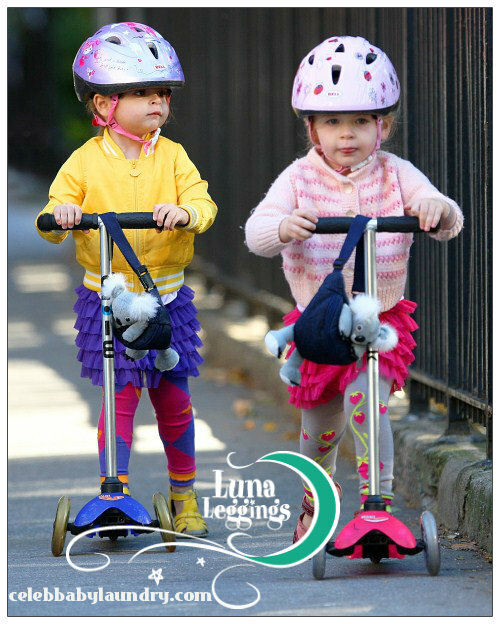 On October 11th, Sarah Jessica Parker and Matthew Broderick‘s twin girls, Marion and Tabitha were spotted wearing the stylish leggings while enjoying a ride through New York City on their scooters. The girls wore – Luna Leggings Heart Colorblock Leggings with Purple Tutu and Strawberry Leggings with Pink Tutu. Seraphina Affleck and Satyana Densiof have also been spotted wearing Luna Leggings. To learn more about the company visit their website.